Any startup venture requires a combination of different set of attributes. Startup typically has multiple partners, a product or service, a location where they operate from and of course a potential customer. 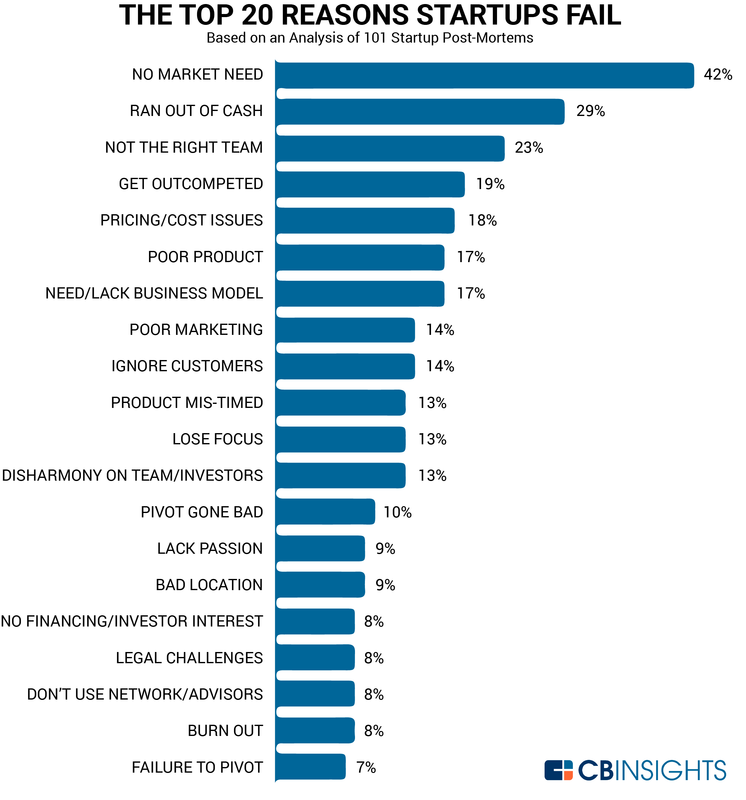 Let’s take a look at why only few startups succeed out of so many, what contributes to a startup failure, resulting in a loss of money and time for every partner involved and eventually shutting down the business.